Balzer + Bray, 9780061730955, 224pp. This National Book Award nominee from two-time finalist Patricia McCormick is the unforgettable story of Arn Chorn-Pond, who defied the odds to survive the Cambodian genocide of 1975-1979 and the labor camps of the Khmer Rouge. 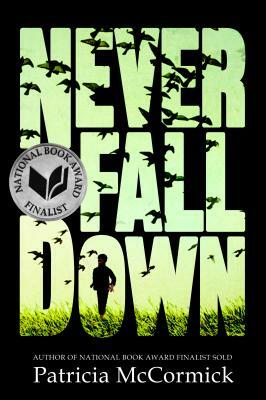 Based on the true story of Cambodian advocate Arn Chorn-Pond, and authentically told from his point of view as a young boy, this is an achingly raw and powerful historical novel about a child of war who becomes a man of peace. It includes an author's note and acknowledgments from Arn Chorn-Pond himself. When soldiers arrive in his hometown, Arn is just a normal little boy. But after the soldiers march the entire population into the countryside, his life is changed forever. Arn is separated from his family and assigned to a labor camp: working in the rice paddies under a blazing sun, he sees the other children dying before his eyes. One day, the soldiers ask if any of the kids can play an instrument. Arn's never played a note in his life, but he volunteers. This decision will save his life, but it will pull him into the very center of what we know today as the Killing Fields. And just as the country is about to be liberated, Arn is handed a gun and forced to become a soldier.